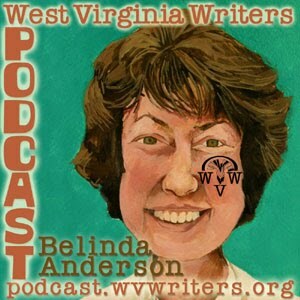 This week, we speak with Belinda Anderson, writer, journalist, nomination for WV Writers' parliamentarian and presenter at the 2010 WV Writers Summer Conference. 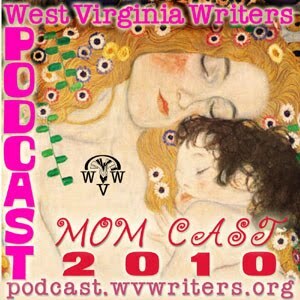 We cover Belinda's extensive past history with WV Writers, what she will be teaching at the conference and cover some of her current and past writing projects that she's involved with, including an oral history project detailing the history of a lost community located atop Wolf Creek Mountain, near Alderson, WV. 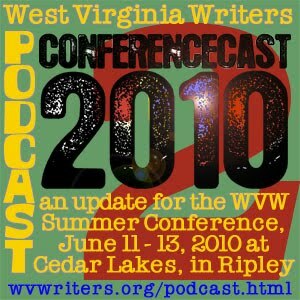 This week we present WV Writers 2010 ConferenceCast 2 (a.k.a. Episode 32), detailing all the updates we have on the 2010 Summer Conference. Among the choice bits of information presented is an update to the workshop presenters list, including some unfortunate deletions to the roster and some fortunate replacements. We also talk about the Friday night entertainment and how you can possibly participate, our plans to Tweet the Saturday Night Awards Banquet, some new information about the editor and agent pitch sessions and how in the very near future this podcast will help you prepare for such a session. This week we celebrate Mother's Day with a triple-sized MOMCAST 2010, featuring stories, poems, essays and memories as phoned in by our listeners. Contributing to the program today are: Elvera Denning, Terry McNemar, Tracy Seiffers, Sandra Clay, Barbara Wittington, Llewellyn McKernan, Sal Buttacci, Kate Dooley, John Nagle, C.J. Farnsworth, Dianne Tarantini, Tim Armentrout, Susan DeVan, Charlotte Sneed, Linda Hoagland, Barbara Smith, Cat Pleska, Heidi Hartwicker and Eric Fritzius.